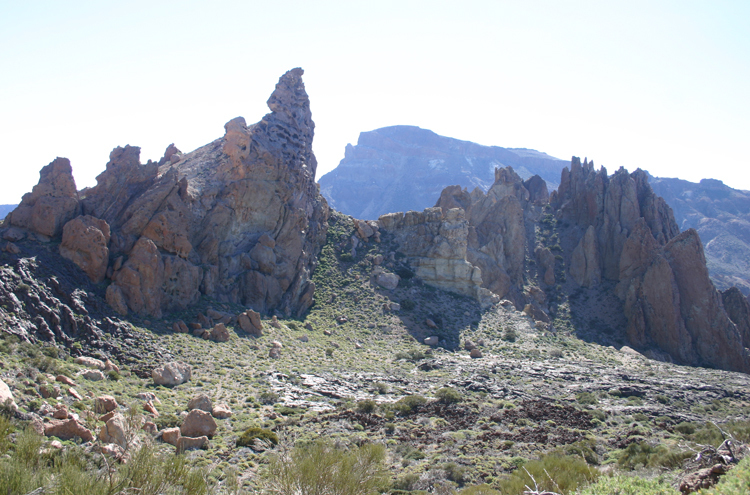 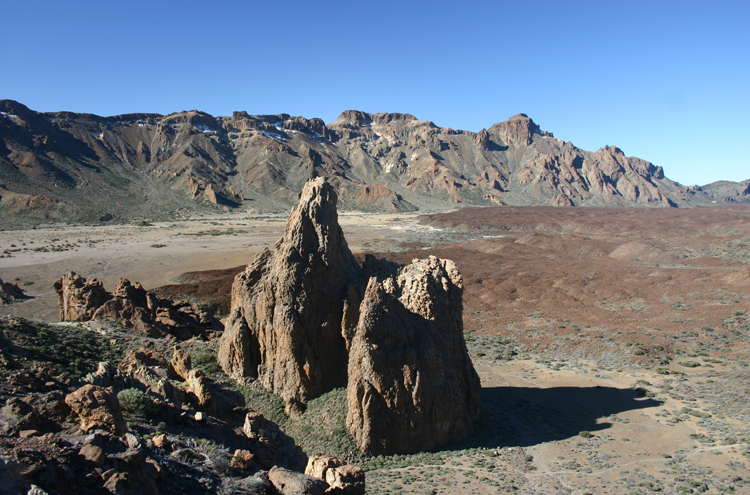 Circle this dramatic line of volcanic spires and towers in the middle of the amazing Las Canadas caldera. 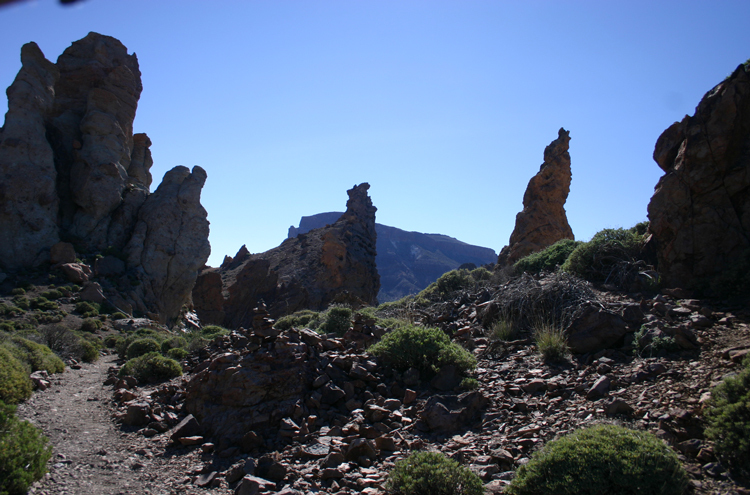 A shortish walk around a famous line of spires and towers that represent plugs of the ancient volcano and thee only survivors of the cataclysmic landslip that created the Las Canadas caldera. 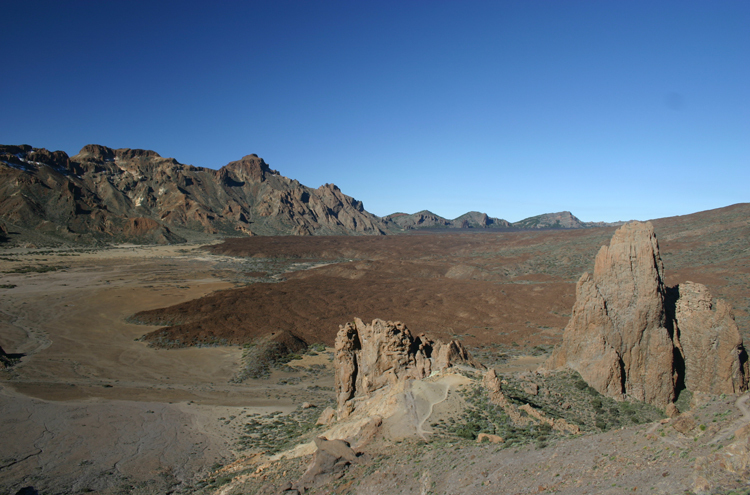 They have served to back up the lava flows into the upper Canadas basin, with a spectacular drop-off into the lower Llano de Ucanca. 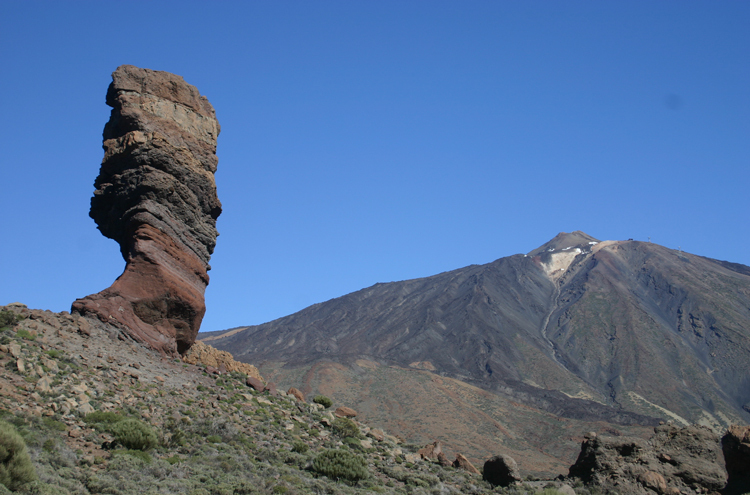 Volcanic nerds heaven. 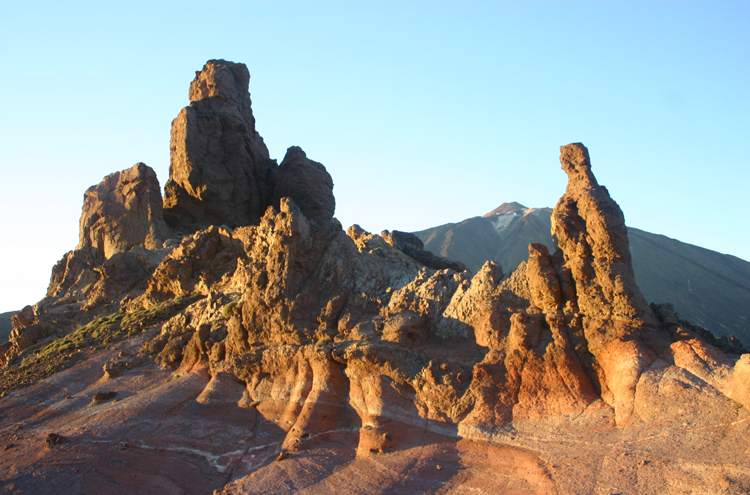 The viewing of the different colours and types of lava flows, which have swept across earlier deposits, is one of the highlights of this walks, as are the views up to El Tiede and across the Llano de Ucanca to the cliffs of the Canadas rim. 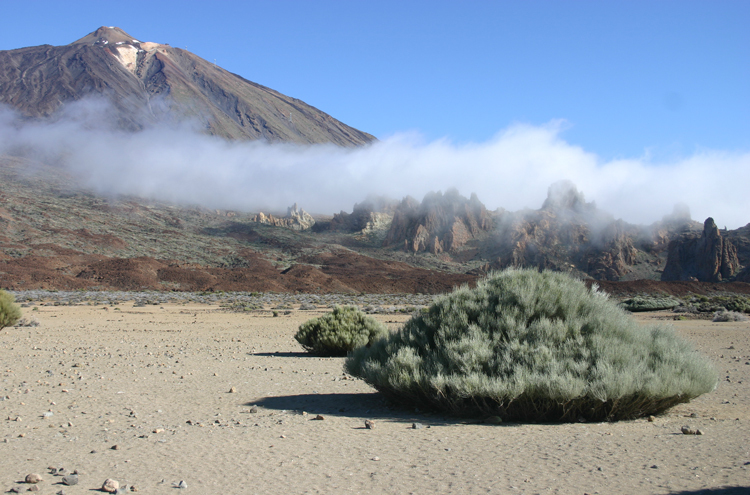 Although this is a bus-tour favourite and popular the whole way round, it is not to be missed. 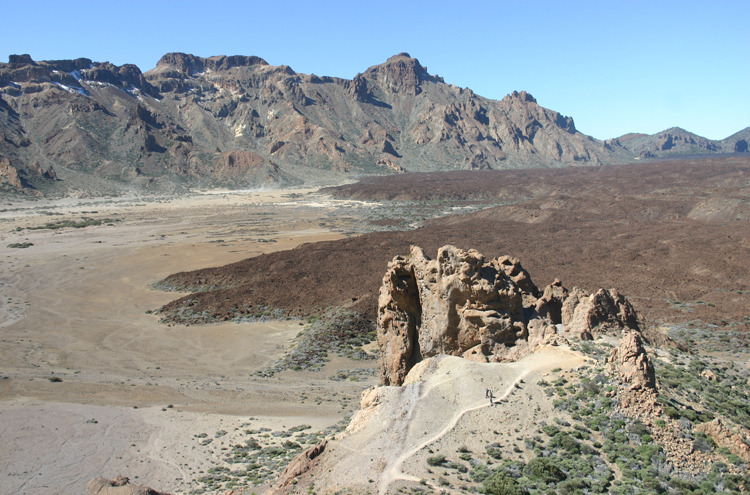 A bit of a puff from the Ucanca floor back to the start deters most trippers. 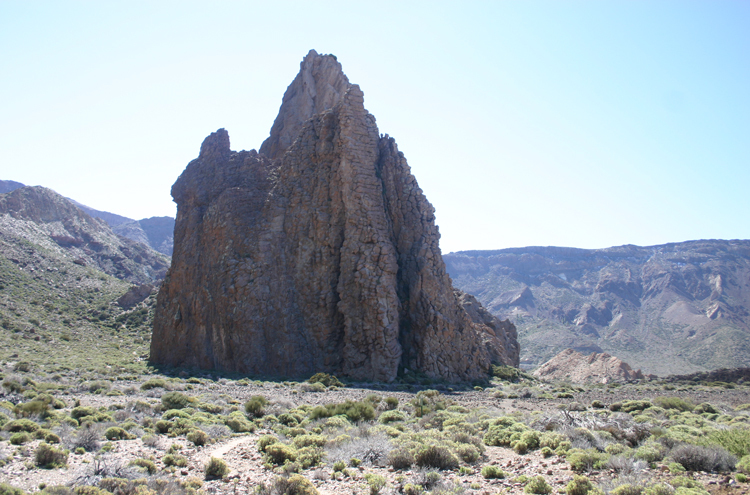 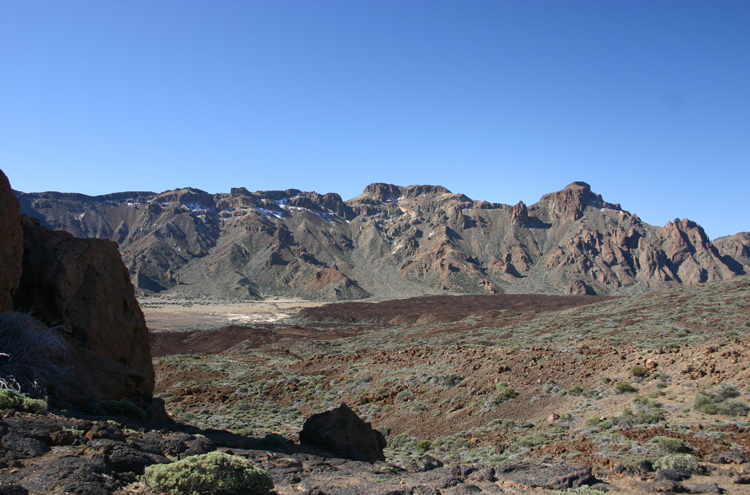 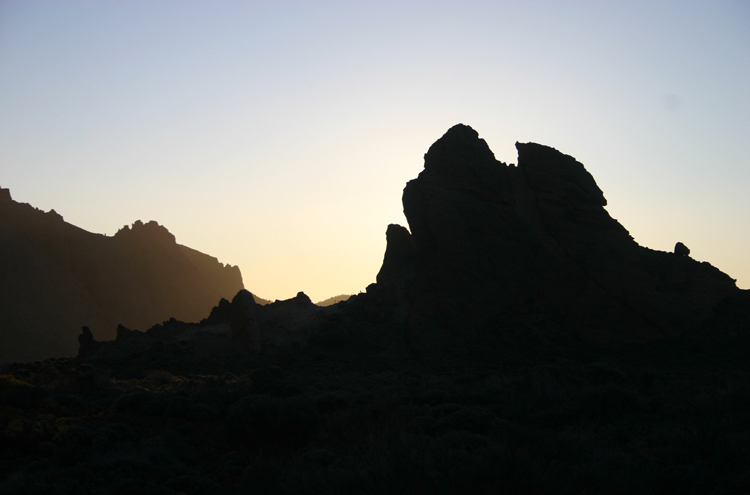 For general and practical information on this walk, see our Las Caadas and El Tiede page.